I didn’t get into”Mystery Science Theater 3000” (“MST3K”) during its original 1988-1999 run. Instead, I discovered it well after it went off the air, thanks to fans who digitized old VHS tapes and posted classic episodes like “Pod People” or “Werewolf” online. Technically illegal, yes. But the show’s various home video collections received very limited releases that quickly went out of print, and it was rarely (if ever) rerun on television. So for many of us, dubiously legal online videos were the only way to see it. I admitted this to series-creator and original host Joel Hodgson while interviewing him for the show’s Netflix revival, which premiered on the streaming service on April 14. As it turned out, he was, surprisingly, okay with it. In fact, Hodgson believes that fans sharing the show online was partly what made the Netflix revival even possible. In a way, that’s a return to the show’s roots. 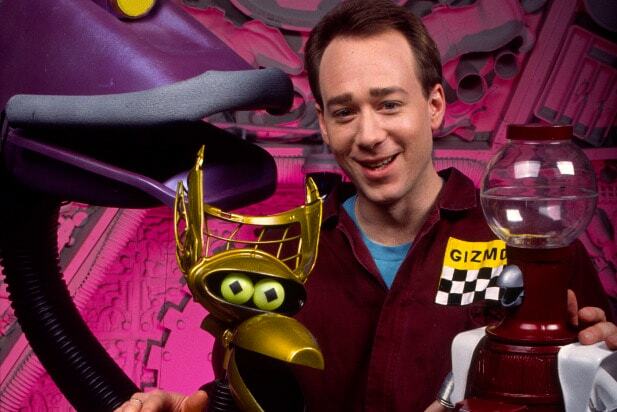 “MST3K” began in public access, on a small station in Minnesota. It soon moved over to the Comedy Channel, which became Comedy Central, in the early 1990s before then moving over to the Sci-Fi Channel (now called SyFy) in 1997 for its final two years. The show also has a simple premise: a man and his two robot friends watched bad movies and would make jokes about them — jokes that, whether topical or simply absurd, were accessible to people of all ages. It subsequently attracted a strong fanbase of people who loved comedy and bad movies, which unsurprisingly made “Mystery Science Theater 3000” exactly the kind of show fans would obsessively record on tape and pass around to their friends. 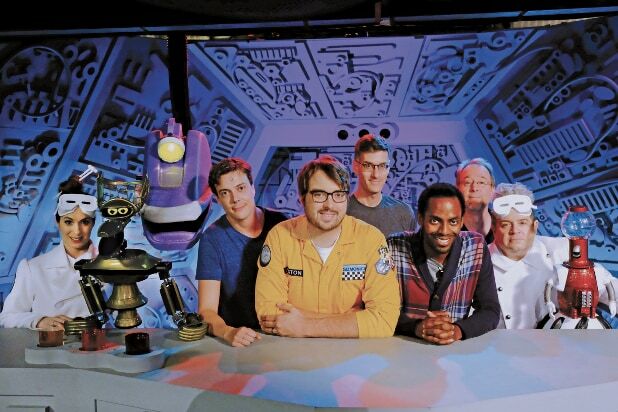 One of them was Jonah Ray, host and star of the “MST3K” revival, who grew up watching the show’s original incarnation and who, like Hodgson, credits the fans who uploaded videos online for keeping interest in it alive. But unlike Hodgson, Ray experienced the phenomenon of MST3K’s online resurrection first as part of the fandom. Ray also had a ground eye view of how sharing the show online actually increased the size of its fandom, and remembers going to the reunion at a comic convention years ago, back before he could get into the events on his own. He had to lie to a security guard to get in, but when he sat down, he heard a lot of younger people talking about experiencing it for the first time. But more importantly, that fandom managed to do something else – build an entire form of comedy by following “MST3K’s” lead. Video streamers and early YouTubers reeled it in, posting any episodes they could online and often creating movie riffing shows of their own. In term, the show’s title became a shibboleth in its own right. But this much larger fanbase — along with a multitude of backers who funded the Kickstarter campaign that led to the Netflix revival — meant there was more pressure to get the show right, to remind people of the old seasons while also adapting to changing styles and sensibilities in 2017. The writing process is mostly the same. A team of writers watches the movies solo, creates a bunch of jokes, and pitches them to the rest of the staff. Then they choose which jokes can go for each moment. The performers, like Ray, take part in the sessions so that they can put some of their character into the jokes. It’s not improvisation, like some seem to think, but it’s a method that tries to replicate the feeling of an improv session, to create a sense of spontaneity and surprise that shapes the core of the comedy. “I’d say half the writing staff had never written on TV before,” Hodgson said. “And you want that, you want that perspective that’s fresh and unusual because that’s where the surprise comes from. The show is different in some ways. For example it looks updated. The movies are now in widescreen and are screened in a much higher quality than in some early episodes, where the sound mixing could make it difficult to hear movie dialogue. The set is a bit more detailed. Most striking is the transitional sequence that occurs between sketches and movie sessions, which now features miniatures of the Satellite of Love, where the show takes place. Ray said there was some trepidation among fans who saw the talent involved and worried it would become too political. Elliot Kalan, who wrote for “The Daily Show” for years, is the head writer on the revival. Actors like Patton Oswalt and Felicia Day are vocal online about their political views and people worried that they’d see a tonal shift. But the show in Season 11 is just as absurd, nonsensical, and family friendly as many would remember it. There are a few political jokes scattered throughout — a passing one about police brutality appears in the first episode — but the point wasn’t to switch things up. It was to honor Hodgson’s original vision. As Hodgson himself said, the audience is just as much a part of the show as he is. The fun of MST3K is feeling like you’re watching a bad movie with your friends. Even if a show doesn't drive huge ratings, it can live on long after its initial run thanks to a devoted fan following. 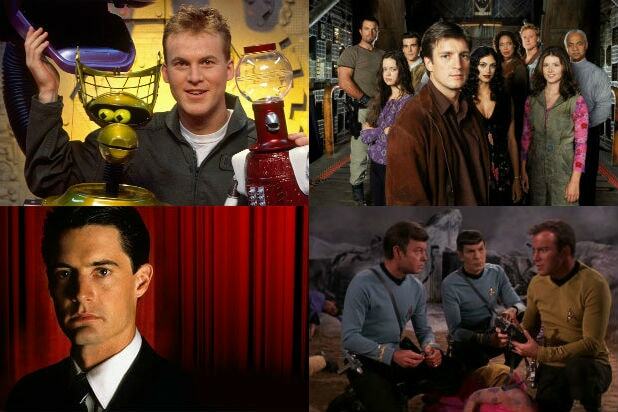 Here we look back on some shows that have remained popular even decades after they first aired. This quirky comedy series followed a man and his two robot sidekicks as they riffed on an endless supply of terrible B-movies. Series creator Joel Hodgson recently held a successful Kickstarter campaign to create a new 14-episode season, now airing on Netflix. Kristen Bell played a street-smart young crime solver who assisted her father at his private detective agency. The series was revived for a one-off movie in 2014 after a Kickstarter campaign. Bryan Fuller created this colorful comedy series starring Lee Pace as a pie maker with the ability to bring people back from the dead. Three friends who loved to curse, drink, and smoke dope tried to get by as petty criminals in a Nova Scotia trailer park. Netflix revived the show in 2014 and has aired three new seasons to date, with more to come. Amy Poehler led this smart mockumentary show about the bizarre inhabitants of the local government of Pawnee, Indiana. Tina Fey and company won 16 Emmys for this comedy about the staff and stars of an "SNL"-style variety show on NBC. David Lynch's unorthodox murder mystery series only lasted for two seasons, but fans have been rabid about a new season ever since. Showtime answered their prayers and debuted a revival in May. "Star Trek: The Original Series"
Perhaps the cult show to end all cult shows, this iconic sci-fi series only aired for three seasons but spawned five TV spinoffs and 13 feature films to date. Also Read: Does ‘Star Trek’ First Teaser Contain Easter Eggs? Numerous actors have played the titular Doctor in this long-running British series, which has been exported worldwide to incredible success. Ron Howard executive produced and narrated this critically beloved but low-rated comedy series. Netflix brought it back for a fourth season, with plans for a fifth and possibly a film. Joel McHale, Chevy Chase, and Ken Jeong were among the stars of this Dan Harmon series about students at a fictional community college who did everything but learn. Judd Apatow assembled much of the crew that would go on to star in many of his future films -- including Seth Rogen, James Franco and Jason Segel -- in this high school comedy about two disparate groups of friends. The world got its first real taste of Joss Whedon in this supernatural drama about a teenage vampire hunter (Sarah Michelle Gellar) who also dealt with high school life and young romance. "Simpsons" creator Matt Groening led this futuristic sci-fi comedy. It folded after just four seasons, but was revived on Comedy Central for three more almost 10 years later. Edward James Olmos played the commander of an old but tough starship filled with the last remaining human beings searching for a new home. They are pursued across the galaxy by the evil robotic Cylons. Joss Whedon pops up again as the creator of this sci-fi series about a ragtag group of outlaws aboard a rundown ship on the edge of the galaxy. The cast reunited for the 2005 movie "Serenity." Bob Odenkirk and David Cross starred in this HBO sketch series. The duo and many of their former co-stars recently reunited for the Netflix show "W/ Bob & David." This Canadian sketch series was known for its strange characters and cross-dressing main cast. The troupe starred in their own film, "Brain Candy," in 1996. This British sketch series found big success on PBS in the United States, and the cast went on to star in four films together. Lucy Lawless made being a badass look easy as a female warrior looking to right the wrongs of her past. The series was a spinoff of "Hercules" starring Kevin Sorbo. Based on the 1994 movie "Stargate," this series ended up running for over 200 episodes and inspired three TV spinoffs. Though it only lasted one season, this children's show became infamous for what many believed to be drug references hidden throughout each episode. Scott Bakula starred in this series about a scientist who finds himself randomly leaping through time, striving to put right what once went wrong.